Here we read about Gabriel’s most important assignment from God. 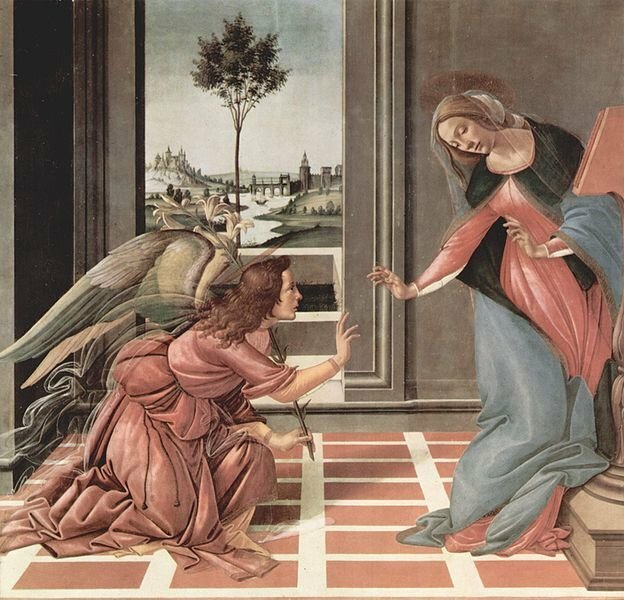 His annunciation to Zechariah was just the beginning of his special work. He actually had a much larger assignment yet to perform – an event that would become, through art and sacraments, one of the most depicted events of the Bible. Just imagine how many “Hail Mary’s” go to heaven each and every day. 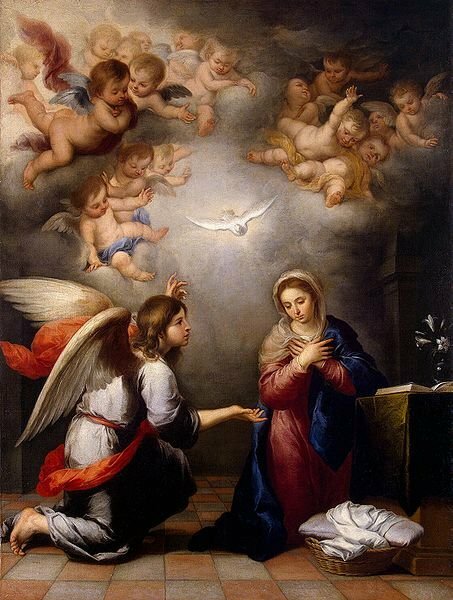 Because of the Hail Mary’s, Gabriel’s message continues forever. The thing to realize about Galilee at this time is that it was considered to be an unsophisticated backwater and political hotbed. 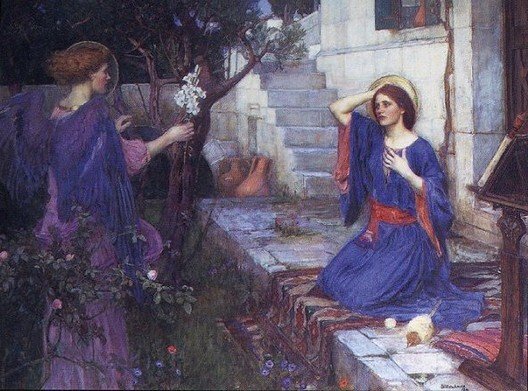 Mary, an unknown young lady going about her life in a most unspectacular fashion, was chosen by God to conceive and later bear the Son of God. God chose His Archangel Gabriel to bear the news. We have Mary — female, young, and poor. These are characteristics that, to the society of that day, would make her seem unusable by God for any major task. Just as John the Baptist would run contrary to the priestly cult dominatingTempleworship, this particularly ordinary child was chosen for one of the most important acts of obedience God has ever demanded on anyone. Despite her ordinary background and the unfavorable opinions of her home, she was a descendant of King David. For the football fans out there, think of the “Hail Mary” pass. Most of the time, this is a desperation play with little hopes of working. In fact, if it does work, it is a shock. It expresses a great surprise. Here, the victory of salvation is being delivered against all odds, like a virgin conceiving. Luke is the master of understatement. He describes Zechariah as being “shaken and overwhelmed with fear” when he comes face to face with Gabriel. We read that Mary was simply, “confused and disturbed.” Probably because Gabriel immediately picked up on her confusion, he puts her mind at ease with the incredible message that she had “found favor with God.” And then he moves straight into a message that must have thrown the poor child into more confusion and anxiety: she was to conceive out of wedlock and give birth to the future King of Israel. Although she is given the honor of mothering the Messiah, the event would naturally lead to pain and ridicule. Society would berate her; Joseph, her fiancé, would certainly leave her; family members would deject her. So how will the young girl take the news? 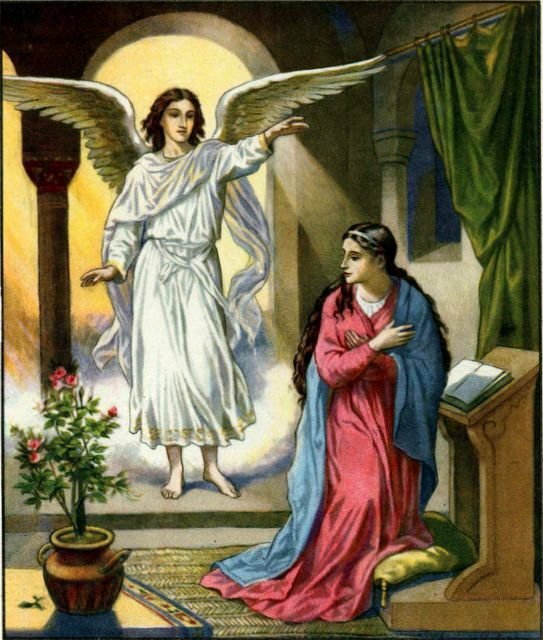 Remember of other examples when angels told of unexpected births: Sarah laughed; Zechariah doubted; yet Mary will submit to God’s will without hesitation. Gabriel methodically lays out the plan of God to the confused girl. Although she questions Gabriel, it is not a question of doubt, yet a question of logistics and methods. The line of questioning tends to reinforce her maturity and wisdom. She realizes it will happen; her question is how. We have a blunt, incredible ending to perhaps the most puzzling events in the Bible. 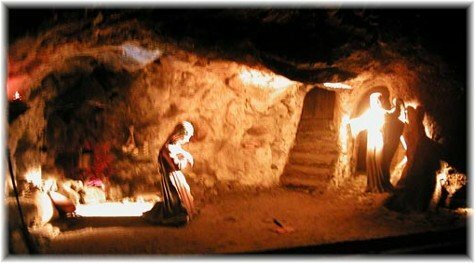 Yet the most impressive thing about the event is how Mary accepted the news with grace and supplication. Zechariah was full of hope; Mary is full of faith. Such faith should be the response of man to the revelation of God. We consent to what is revealed to us, not because it makes sense, but because we trust the revealer. 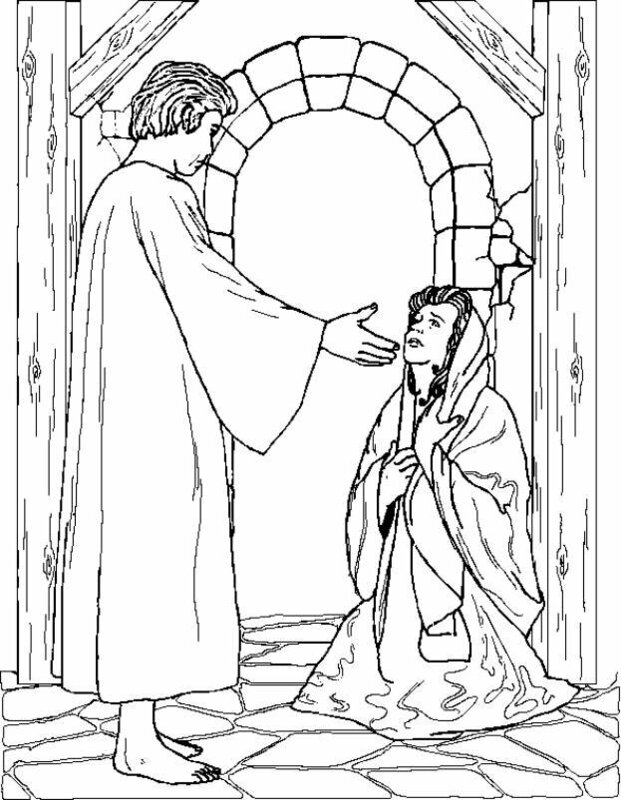 Faith is evident in the exchange between Mary and the Archangel. Her faith was so strong that The Word became flesh and blood in her womb. this why we catholics pray the hail Mary!! !